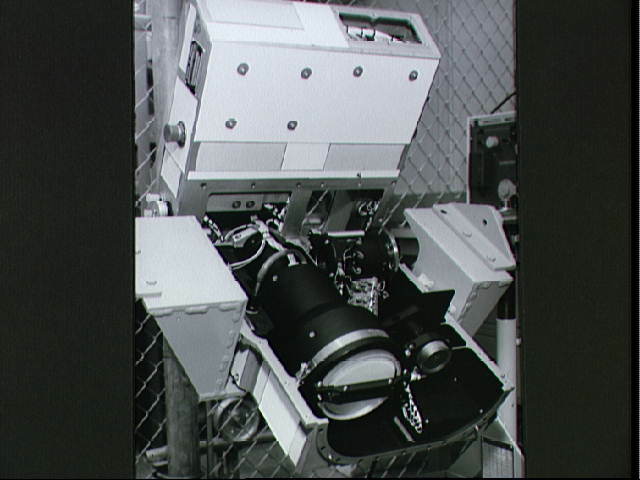 The Optical Recorder of the Lunar Sounder Experiment (S-209) which will be mounted in the SIM bay of the Apollo 17 Service Module. The Lunar Sounder will probe three-quarters of a mile below the Moon's surface from the orbiting Apollo 17 spacecraft. Electronic data recorded on film will be retrieved by the crew during transearth EVA.